Craig Johnston has joined SLR as the new Regional Manager for Canada. Craig will lead SLR’s Canadian team of 200 professional staff located in 17 offices across five provinces and the Northwest and Yukon Territories. He will be based in SLR’s Toronto office. With over 25 years of consulting experience, Craig’s background includes providing strategic services to clients in the mining, petrochemical, manufacturing and resource-based industries, as well as various municipal and federal government agencies. 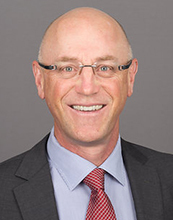 Most recently, Craig led Stantec’s environmental business within the mining sector in Canada. Craig will take over from Richard Johnson, who has led the SLR team in Canada for 7 years but will now return to a new role in the company’s European operations. Craig is the latest recruit to SLR’s global leadership team. The company has significantly added to the strength and depth of its leadership team over the last year with the appointment of Dianne Buchanan as global Chief Financial Officer, Rick Smith as Chief Operating Officer for North America and Paul Gardiner as Regional Manager for the Asia Pacific operations.